How to use N2 Elite with USB NFC reader on your PC/Mac? N2 Elite/ amiiqo is really popular which allows you to emulate Amiibo figure by backing up and restoring the data to multi-slot NFC disc. With new hardware-USB NFC reader, you can use N2 Elite on any PC/Mac. It is much easier for you to save and restore the figure data. 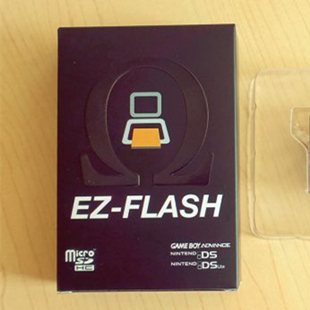 In this post, we will introduce you how to use N2 Elite with USB NFC reader on your PC/Mac. 2. Unzip the two folders. Install USB Drivers on your PC. 4. Click “Connect”. “Scan for Tag” will scan your device for any figure data stored on it. “Set Bankcount” will set the number of banks (figures) available to be saved on the N2 Elite disc. “Lock” will lock your N2 Elite disc from being written to avoid overwrite mishaps. 5. Once you’ve set the number of banks you want stored on your N2 Elite disc, simply double click a slot in the software and load the data from a file. On March 16, Nintendo team released one new system firmware version for their switch console-Version 2.2.0. From the changlog, we can not get much infirmation about update. How to update Nintendo switch to 2.2.0? If you want to wait the homebrews of this console, then keep your console in a low firmware version. N2 ELITE team updated their Android App to the new version- 2.0.1 which will enable you to enjoy amiibo. Here are the changlog of Android App 2.0.1. 16/04 – Android App 2.0.1 update just released. * Fixed bug in retail name for unknown figurines. * Fixed crash if device has no NFC adapter. * Fixed crash on scanning unsupported tags. * Fixed crash in some cases when the tag was shortly disconnected. * Removed lock button to avoid users locking since not needed right now. * Improved image loading times. download N2 Android app and Manual 2.0.1. Now dwtechz.com holds Easter Sales Promotion for Amiiqo before April 4. Luma3DS v7.0 and v7.0.1 updated. ■ hax payloads work again (if you use arm9loaderhax this doesn’t apply). ■ LayeredFS compatibility has been improved (thanks to @svanheulen and NeoBeo): recent Monster Hunter games and update RomFSes which get mounted as “patch:” (like Daigasso’s update) now work. ■ Added chainloader selector menu (can be called with START on boot, the START payload can now be booted with L+START). ■ Implemented IPS patcher for code.bin, you need to copy the IPS patch to /luma/titles/<titleID>/code.ips. ■ Added a LayeredFS implementation thanks to @delebile’s hard work. Compatibility should be really good as only two games have been reported as being not working out of all the reports (due to the unusual way they were compiled). To use it, you will need to copy romfs files (following the romfs folder structure) to /luma/titles/<titleID>/romfs/. Coupled with IPS code patching, this allows for easy legal distribution of game translations/hacks. ■ Added unverified New3DS SigHax support (it should work fine, though). ■ Added support for the power button in menus (thanks @d0k3). ■ Added possibility to patch NAND apps (like the eShop). ■ Download Play is now region free (thanks @adibsurani). ■ Signature checks are patched out for 1.x/2.x NATIVE_FIRM and SAFE_FIRMs (thanks @SciresM). ■ PIN changes: PIN is now hidden while being entered, added possibility to clear the inserted PIN by pressing SELECT. ■ Stubbed the SetGpuProt syscall on 11.3+ to make *hax payloads work on Old3DS. ■ Fixed firmlaunch/reboot patch on New3DS 11.4. ■ Fixed config not being saved if a payload was launched after quitting the config menu. ■ Refactored the codebase to limit nested if/elses. ■ Several other improvements to overall system stability and other minor adjustments and bug fixes have been made to enhance the user experience. Which is best flashcards for 3DS v11.4.0-37U? Three days ago, the new firmware version of Nintendo 3DS was alive- 3DS v11.4.0-37. 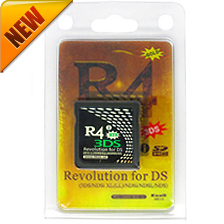 Which is the best r4 card to play free NDS games for 3DS v11.4.0-37U? And which is the best 3ds flashcard for play unlimited 3ds games on 3DS v11.4.0-37U? In this post, we will tell you the r4 card and 3ds flashcards that allows you to play free NDS or 3ds games on 3DS v11.4.0-37U? Please notice that sky3ds+ can only support 3DS gams, no NDS games. Supports NEW3DS/3DSXL, 3DS/3DSXL, 2DS, DSI/DSIXL, NDS/NDSL. 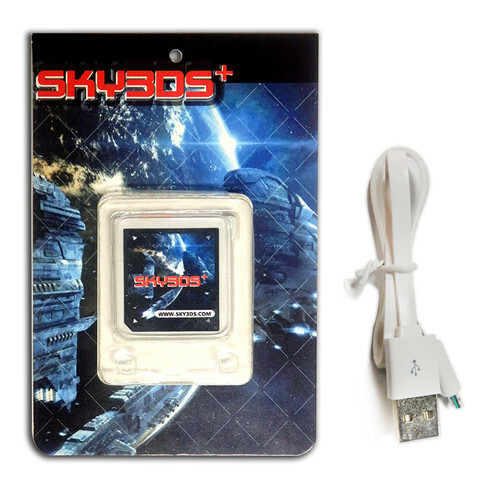 Compatible with DSi V1.45 and 3DSV11.4.0-37. Compatible with 3DS V11.4.0-37 (J.U.E)and DSi V1.45. Support NEW3DS/3DSXL, 3DS/3DSXL, 2DS, DSI/DSIXL, NDS/NDSL. Compatible with DSiV1.45 and 3DSV11.4.0-37 directly.